This year marks the tenth anniversary of the Dreamworks Animation film, Madagascar, which debuted in theaters in the summer of 2005. Ten years later, the impact the film had on awareness of lemurs is still being felt around the world. Hundreds of millions of people worldwide have seen the film, and a very large percentage of those were probably hearing the word ‘lemur’ for the first time. The film is still popular with today’s children. Working in zoo education for the last six years, I can say with complete certainty that the number one reason children can recognize lemurs, and know the name of the only place in the world where they are found, is thanks to the film. And if they are stumped at first, all you need to say is “I like to move it, move it.” Works like a charm. There is no doubt hesitation to use a children’s animated film with scientific inaccuracies and lots of anthropomorphizing of the animals to accurately educate about lemurs. 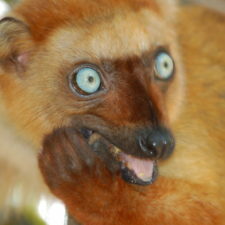 As a lemur educator, I am often asked how I feel about Madagascar. My answer is that I believe it is the best thing to happen to lemur education efforts in this generation. Using the love of lemurs the film instills in children can be the ultimate first step in getting children to want to learn more about lemurs in the first place. The inaccuracies can be the perfect lead in to teaching the truth about lemurs and their conservation status, and anthropomorphizing creates an emotional connection to the animal characters that inspires a deeper appreciation than a non-talking animal could. The ultimate goal of a filmmaker is to get people to make an emotional connection to the characters. Anthropomorphic animals are a common tool to achieve this. Conservation educators’ ultimate goal is to create emotional connections with animals that will hopefully lead to taking conservation actions to protect those animals in the wild. It is a perfect match. 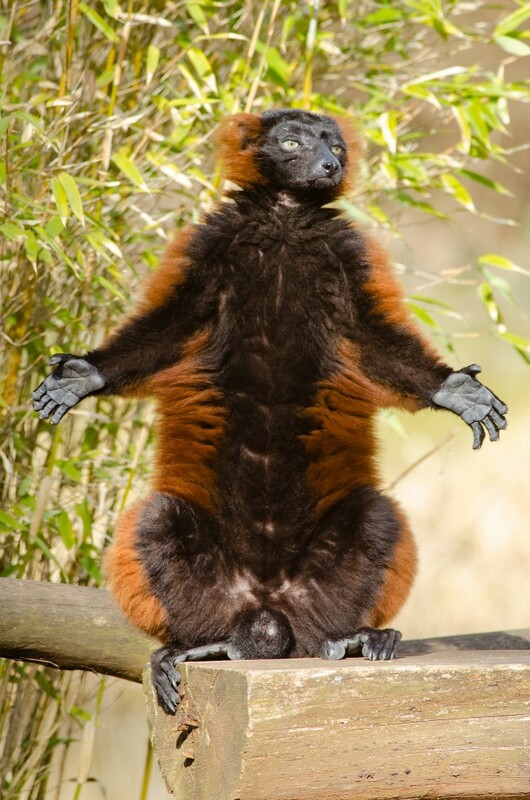 Red ruffed lemur. Photo by Mathias Appel. It is up to zoo and other conservation educators to translate the interest children garnered from the film into caring about the plight of lemurs and wanting to do something to protect them. People will only want to conserve what they love and understand. If a movie like this can get more people to love lemurs, and if we can use that love to educate these people about lemurs, then hopefully we can inspire them to take conservation action to help protect lemurs. Despite the advantages to anthropomorphizing animal characters in children’s films, there can also be negative consequences which need to be addressed if using the film as a conservation education tool. Studies have shown that viewing lemurs and other primates in an anthropomorphic setting can increase their desirability as a pet, and increase the likelihood of viewers not believing the animal to be endangered. 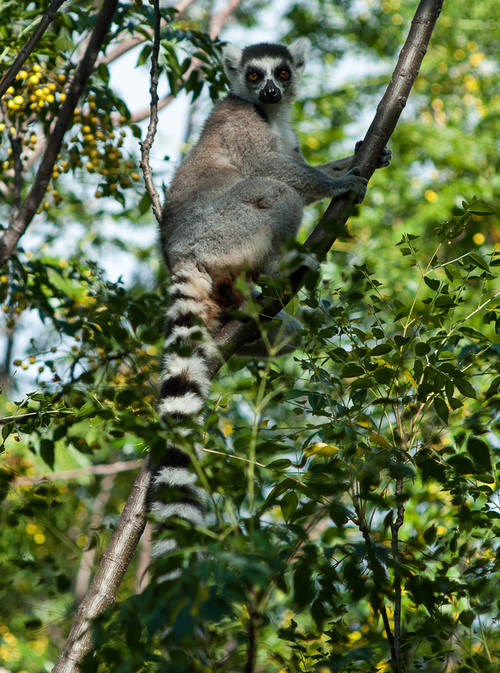 The pet lemur trade significantly threatens the survival of lemurs in the wild. The most common pet lemurs in the U.S. and Madagascar are ring-tailed lemurs, which happen to be the most famous lemur from the film Madagascar. When animals are anthropomorphized, made to look cute, and have on screen charisma, it could certainly lead to children asking their parents to get one of these animals as a pet for them. The cuter the animal, the more children will see it as a potential pet, no matter what the animal. The sale of pet clownfish skyrocketed after the release of Finding Nemo (2003), despite the irony of the film having an anti-pet message. A key component of the teaching strategy needs to explain to children that even though the lemurs in the film may seem cute and fun, they do not make good pets. Not only do these animals belong in the wild, where their numbers are already dwindling and they serve such an important role, but lemurs also are extremely smart and social animals. Their physical, behavioral, social, and nutritional needs cannot be met in a home setting. They also have the potential to transfer diseases, since they share so much DNA with humans. One of my biggest criticisms of the film is that there is no environmental message, hidden or obvious, and the film paints a picture of Madagascar as an unspoiled paradise, covered in forests and filled with lemurs, free from the influence of man. In the movie, there is not a single human being ever seen on the island. The truth is that there are 20 million people living in Madagascar, only 10 percent of original forests remain, and lemurs are the most threatened group of mammals on Earth. As a conservation educator, of course I would have loved to see the film have an inspiring environmental message, like Rio 2 or Fern Gully. However, Jeffrey Katzenberg, chief executive of Dreamworks Animation, was worried that too much preaching would sully the entertainment — and commercial — value of the movie. “If people are looking for some message about environmentalism, they ain’t going to find it in this movie,” said Mr. Katzenberg. 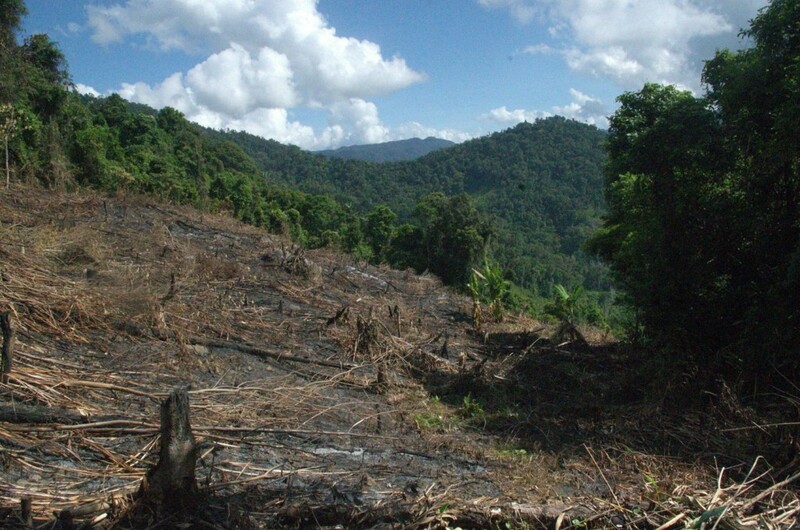 “Environmentalism is not a pejorative word. It’s just the story has nothing to do with that.” What Katzenberg said is partly true. 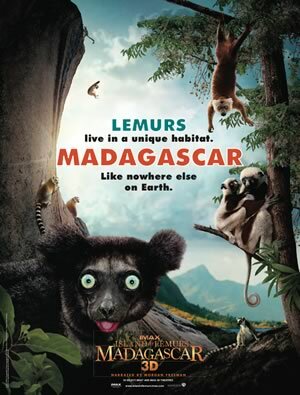 Ultimately, Madagascar is not a film about Madagascar or lemurs. It is about the adventures of a lion, zebra, hippo, and giraffe from the Central Park Zoo. It could have been set in the wilds of Australia and had the same overall storyline. But even if it’s not a movie about Madagascar or lemurs, it is drawn from pictures of Madagascar, features a host of engaging lemur characters, and thus it’s an incredible opportunity for education. 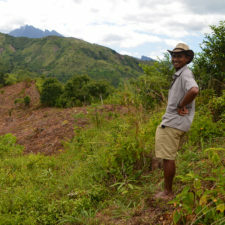 Habitat degradation in Ranobe, Madagascar. Photo courtesy of Anthony Arnold of Ho Avy. After screening the film for children, we can then educate them that in fact, lemurs’ habitats have been destroyed or fragmented by unsustainable agricultural practices, and if we want to see a Madagascar as unspoiled and beautiful as portrayed in the film, there a lot of conservation actions we need to take together. Another inaccuracy I love to mention is regarding King Julien, the ring-tailed lemur who is king of all the lemurs. 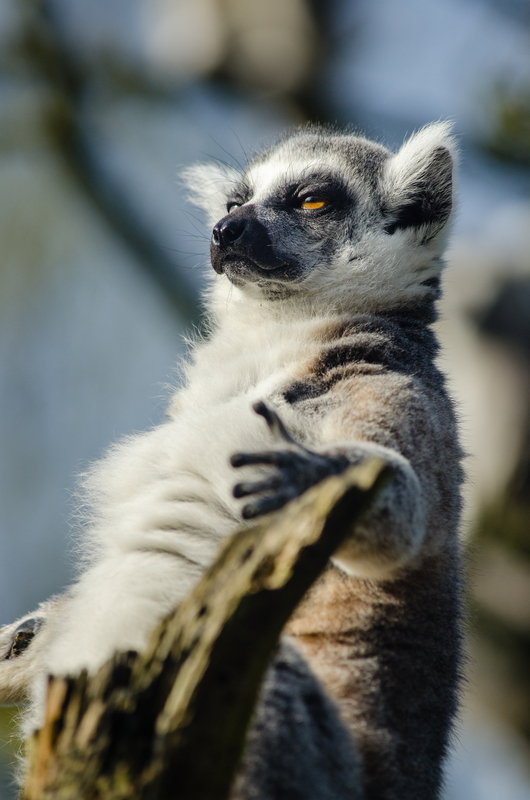 In reality, it really should be Queen Julien, because ring-tailed lemurs, like many other lemur species, have social structures in which females are in charge. There are some things the film does get right about the animals and environment of Madagascar that can be great teaching tools as well. 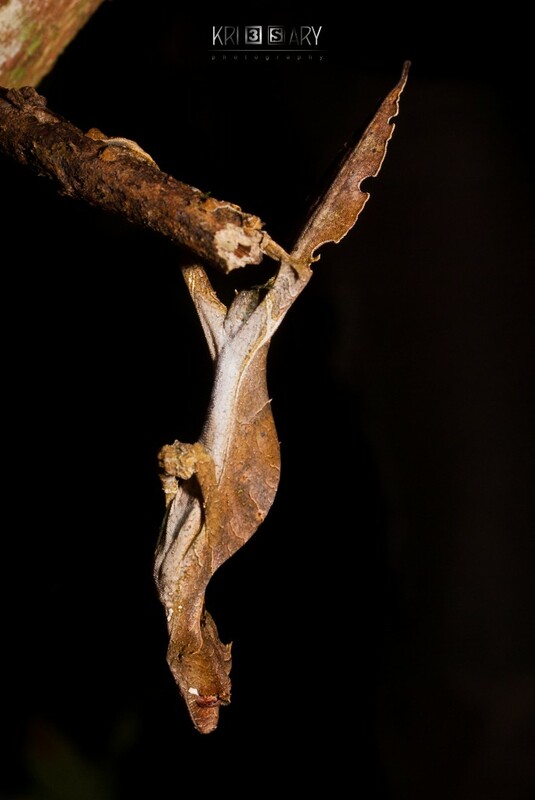 Leaf-tailed gecko. Photo by Raoelison Christian Tolotra Johnson. If you pay close attention to the scenes featuring lemurs, you can see a large variety of different species fairly accurately represented. 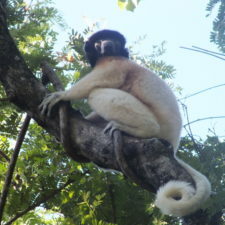 The main lemurs are Julien the ring-tailed lemur, Maurice the aye-aye, and Mort the mouse lemur. 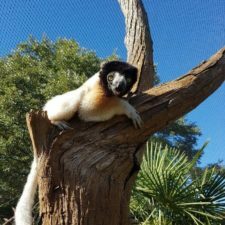 Also featured are red ruffed lemurs, black and white ruffed lemurs, sifakas, crowned lemurs, blue-eyed black lemurs, and brown lemurs. This is a great way to teach about the immense diversity of the 100+ lemur species in Madagascar. The film features many other native Madagascan wildlife in cameos, including geckos, chameleons, boas, crocodiles, and tenrecs. Fossas are featured very prominently, as the thing the lemurs fear the most. 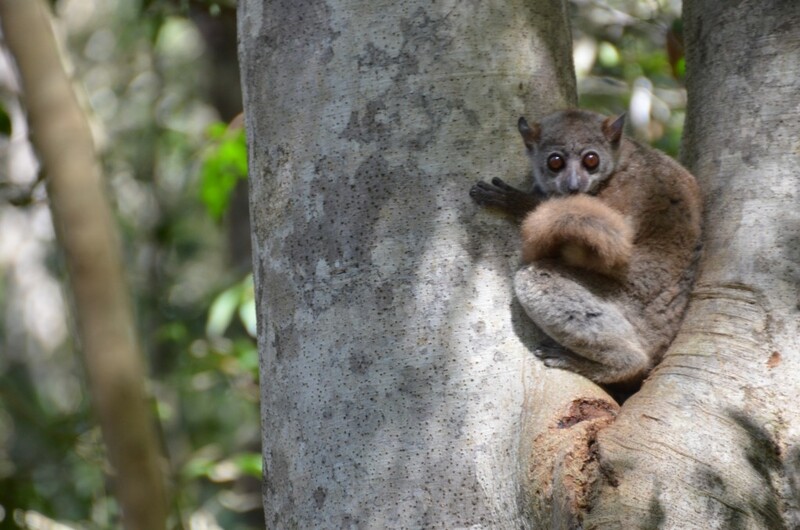 Lessons to be taught here include predator-prey relationships in Madagascar, the magnificent biodiversity and endemism of Madagascar, and the importance of lemurs to all animals on the island. Madagascar also highlights the beauty and extreme diversity of Madagascar’s many habitats, a way to teach about the regions of Madagascar and how different lemurs are adapted for different environments. The film showcases the tropical rainforests, beautiful beaches, jagged rocks of the Tsingy, majestic Baobab trees, and cacti of the spiny forest. It is my hope that conservation educators embrace and utilize Madagascar as an important teaching tool, now and into the future, so that future generations can receive that first spark of curiosity about lemurs, to inspire a life-long learning of these amazing animals.